Setup --> Customize --> Home --> Home Page Layout. Uncheck the checkbox to hide it in Home page. Salesforce to Salesforce connection can be used for data sharing. If an organization is too big and they are using two Salesforce.com organizations to avoid governor limits in Salesforce.com, to share data among the two Salesforce.com organizations without any charge they can go for Salesforce to Salesforce Connection. Salesforce to Salesforce connection avoids unnecessary API Calls and web service for sharing data among two different Salesforce.com organizations. Create a contact of the Salesforce account. To enable the Salesforce to Salesforce connection, go to Setup --> Customize --> Salesforce to Salesforce. Click Settings, Click Edit, Check Enable checkbox and Click "Save" button. Note: Do the step 2 for both the Salesforce logins. Add connection tab to the application. Do the step2 for both the Salesforce logins. Note: Do the step 3 for both the Salesforce logins. 1. Go to the connection tab and click new button. 2. Add Contact, Account and Connection Owner to the new connection. 3. Click Save & Invite button. Check the e-Mail to accept the connection. Click the link in the Invitation e-Mail. The link will direct to login url. Select the Objects to publish. Edit the published objects fields. Add the External Sharing related list to both the logins. Go to Accounts tab in another Salesforce login. Scroll down and Click Go button in Accounts from Connections. 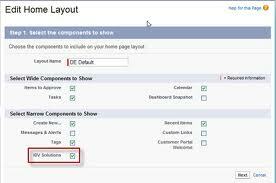 To search data in Salesforce using external application, search () method is used. Execute a text search in your organization’s data. Use search () to search for records based on a search string. The search () call supports searching custom objects. For an extensive discussion about the syntax and rules used for text searches, see Salesforce Object Search Language (SOSL). Certain objects cannot be searched via the API, such as Attachment objects. To search an object via the search () call, the object must be configured as searchable (isSearchable is true). To determine whether an object can be searched, your client application can invoke the describeSObjects() call on the object and inspect its searchable property. To empty recycle bin data in Salesforce using external application, emptyRecycleBin () method is used. Delete records from the recycle bin immediately. The recycle bin lets you view and restore recently deleted records for 15 days before they are permanently deleted. Your Organization can have up to 5,000 records per license in the Recycle Bin at any one time. For example, if your organization has five user licenses, 25,000 records can be stored in the Recycle Bin. If your organization reaches its Recycle Bin limit, Salesforce automatically removes the oldest records, as long as they have been in the recycle bin for at least two hours. If you know you will be adding a great number of records to the Recycle Bin and you know you won't need to undelete () them, you may wish to remove them before the Salesforce process deletes records. For example, you can use this call if you are loading a large number of records for testing, or if you are doing a large number of create ()calls followed by delete() calls. To upsert data in Salesforce using external application, upsert () method is used. call, but all records must have the same object type in an upsert () call. Upsert is a merging of the words insert and update. This call is available for objects if the object has an external ID field or a field with the idLookup field property. On custom objects, this call uses an indexed custom field called an external ID to determine whether to create a new record or update an existing record. On standard objects, this call can use the name of any field with the idLookup field property instead of the external ID. Starting with API version 15.0, if you specify a value for a field that contains a string, and the value is too big for the field, the call fails and an error is returned. In previous versions of the API the value was truncated and the call succeeded. If you wish to keep the old behavior with versions 15.0 and later, use the AllowFieldTruncationHeader SOAP header. To delete data from Salesforce using external application, delete () method is used. Delete one or more records from your organization’s data. Use delete () to delete one or more existing records, such as individual accounts or contacts, in your organization’s data. The delete () call is analogous to the DELETE statement in SQL. * simply echoed to the console. * and types for referenceTo fields. 1. 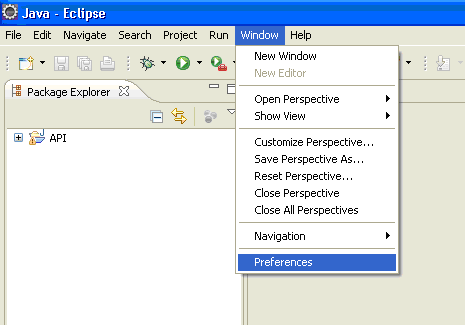 In Eclipse IDE, select Window –> Preferences. 2. Preferences box prompt out, choose Network Connections. 3. Select Manual from Action Provider drop down list. 4. Select HTTP in the List and click Edit button. Give the username and password if any. API login requests, where api_version specifies the API version, such as 17.0. If you send non-login requests to https://login.salesforce.com/services/Soap/c/api_version, an error is returned.The less secure version of the URL—http://login.salesforce.com/services/Soap/c/api_version—is also supported, but not recommended. 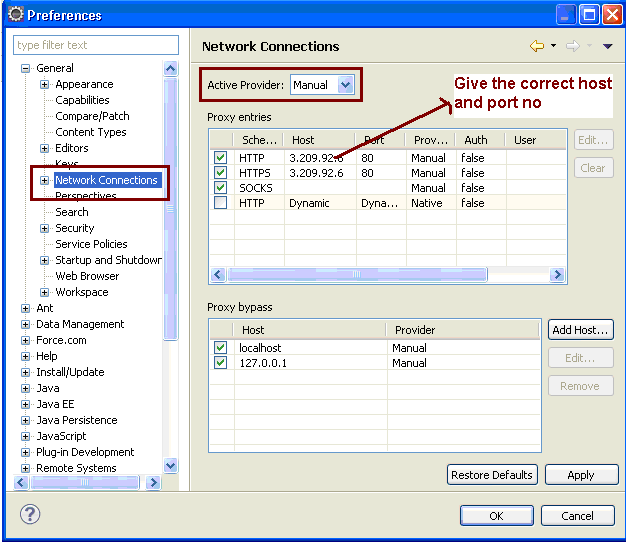 It is helpful for debugging through proxy servers. Its a common error in Webservice api. To avoid this error, you have to use the below syntax to create enterprise.jar. The above code generates a jar file named 'enterprise'. You should include this jar file to avoid errors. Exception in thread Main error in Java means the class for particular java program has not been created. So compile the Java program first. Find the errors and debug the errors. Then only you will be able to execute the Java Program. Salesforce has powerful CRM features. In order to extend this features, we go for Web Service API. 1. Go to Setup menu. Used to create, retrieve, delete and update large amount of records. Mainly used for integration. It also maintains passwords. Mainly used for migration from sandbox to production. Used to create, retrieve, delete and update records.